Are you willing to spend your holidays in Tuscany? 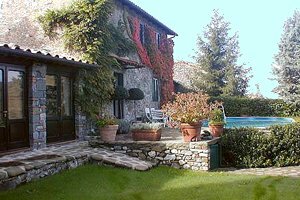 Our real estate agency is specialised in renting holiday villas and country houses in Tuscany - villas with or without swimming pool immersed in the green Tuscan countryside or near the sea, apartments in villas, historic castles and farm holiday apartments. Surrounded by the Apuan Alps and the Tuscan Apennine, Garfagnana is an area rich in towns and villages often ignored on traditional tours, the most important being Castelnuovo Garfagnana. Garfagnana is also the ideal destination for a pleasant holiday in contact with nature. Are you planning to spend your holidays in Garfagnana forests? 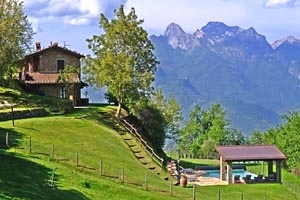 Our website presents a wide selection of villas and country houses in Garfagnana, among which you will certainly find the one that meets your requirements. Rent a country house in Garfagnana for your next holidays in Tuscany. 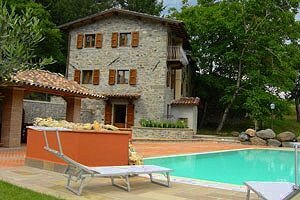 Holiday farmhouse with swimming pool for rent in Castelnuovo Garfagnana (Lucca), in the mountains of Garfagnana. 6 sleeping accommodations, Internet connection, satellite TV, barbecue, breathtaking view. 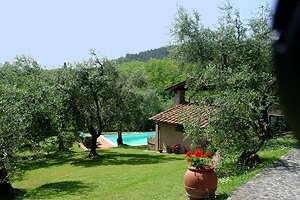 Holiday farmhouse a few kilometres from Lucca, Pisa and the beaches of Versilia, in Garfagnana. Sleeps 8, garden, swimming pool, hydromassage, Internet connection. Panoramic view over the National Park of the Tuscan-Emilian Apennines and the Apuan Alps. Holiday farmhouse in Coreglia Antelminelli, near Barga (Lucca), in Garfagnana. 4 sleeping accommodations, swimming pool, Internet connection, wonderful panorama.